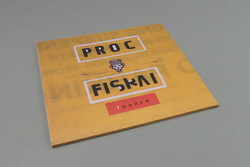 Proc Fiskal - Insula. 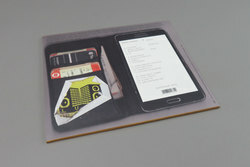 Vinyl LP, CD. Bleep. 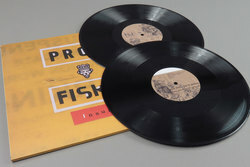 Following last year’s impressive, quietly inventive The Highland Mob EP, Scottish produced Proc Fiskal returns to Hyperdub with a debut LP. While The Highland Mob was a hyperactive wedge of Ruff Sqwad, Insula is a more considered affair. Grime, juke, jungle and footwork are still dominant influences in the PF sound, and tunes like ‘Dopamine’ are Murlo-esque assaults that will whip dances into frenzies. However, elsewhere the softened edges and halcyon-glow synth pads of ‘Apple Juice’, ‘Scottish Precog’ and so on provide a tender touch reminiscent of FaltyDL. Insula demonstrates that there’s real depth to Proc Fiskal’s unique production style.